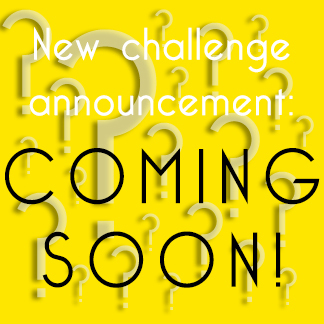 Announcing the first challenge of 2015! Let’s not even talk about where November went…but now it’s time to think about January’s challenge and we have a fantastic classic to kick us off! What will you be sewing up in denim next year? I’m making small fry skinny jeans at the moment (Titchy Threads pattern). Then swiftly on to the Jagger Jeans by Madeit Patterns. I’m all about denim, if I could live in it I would! I see some re-fashions coming in Jan! Hi there, I’m a new blogger (sewrendipity.com) and I would like to join the challenge when it starts. How do I go about that? Many thanks. My first challenge! I have some denim in my stash so thinking of making shorts. Not entirely weather appropriate for January but I think that it’s all I can squeeze out of this fabric (dark denim with some stretch). Now to find a pattern… any suggestions? Jumping back into the challenges! I have some black demin in my stash. Now to go figure out wjat to male with it! Ok…here I go!!! Back to sewing after many years away from it. I am inspired! Fabulous!!!! My sheer coincidence I have just cut out my first project for 2015 in guess what?? Denim!! Oh yeah. I haven’t done any TMS challenges for a while, but what to do you know – you must have read my mind, cause next on the sewing table is tackling the jean/pant and conquer! Eeek! I am sewing jeans for the first time oooh, maybe if I wait and start them Jan 1? hahaha! Sounds great. Does chambray qualify as denim? Technically speaking they are different types of fabric: http://propercloth.com/reference/chambray-vs-denim/ but if you want to push the challenge, perhaps you can sew something in Chambray but add details that you would find on a denim item, like double top stitching, pockets or buttons? Oh! I could make up the denim skirt I’ve been not quite getting round to sewing for the past couple of months! A question for the hosts and fellow contributors – what are your thoughts on remaking a pair of jeans into another garment? Do you think this would be ok for this challenge? Excellent- this is a challenge I can really get my teeth into! Also, I’m loving the new colour scheme for 2015. This is great! I have a piece of denim that has been languishing in my stash for a couple of years now. I have a plan for it and everything. That’s a good start for the coming year. What can go wrong: everybody loves denim. I already planned making a classic jeans. This is great! I have the ginger pattern that I’m dying to make! Plus, a denim skirt.We’ll see what I’ll have done by then. I’m bad at these things though. Denim? *Strokes chin thoughtfully* And it just so happens I’m in London this weekend and planning a trip to some fabric shops. Dangerous stuff! Maybe this is the nudge I need to finally print out the Grainline moss skirt pattern that’s been sitting in the “pdf patterns” folder on my computer for so long…! Tilly’s Delphine skirt (from love at first stitch) and/or a grainline moss! How lovely to open this post and see my denim skirt! Thanks for fanning the flickering flame of my egotism! And, yeah, make denim pants or skirts. What else is as likely to get worn so much and to go with everything?